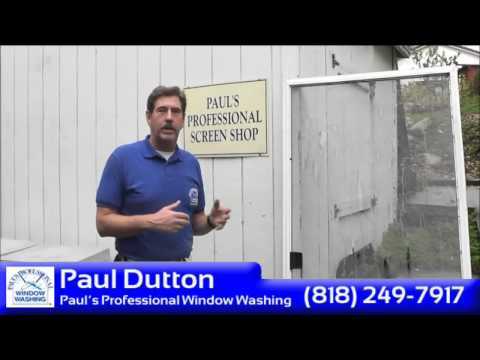 Paul’s Professional Window Washing www.PaulsProWindow.com (800.676.7917) also provides professional screen repairs. We can re-screen your windows and doors. Rather than buying a brand new screen, we will re-screen it for you by saving the screen door and save you money.